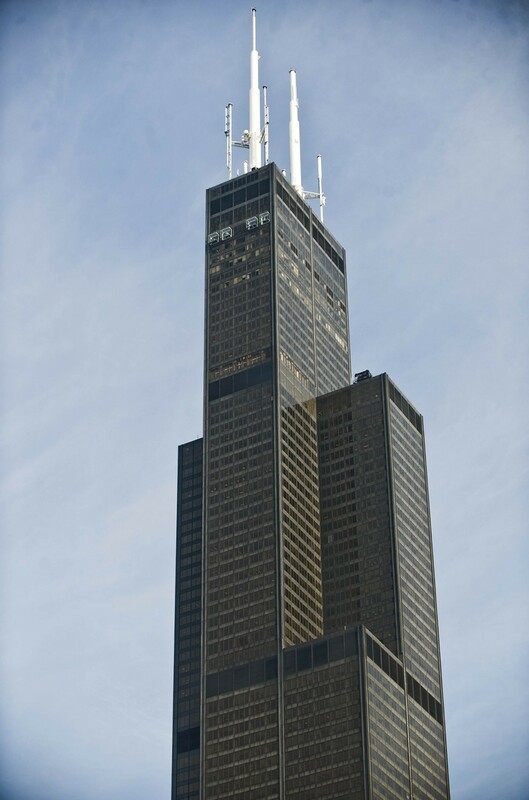 As the city handed out subsidies downtown, such as $36 million for United Airlines to move into Willis Tower, jobs disappeared from the neighborhoods. Target opened its newest Chicago store this week on property that was once in the middle of the Cabrini-Green housing project—just down the street, in fact, from the site of the horrific murder that led to the end of high-rise public housing, the 1992 slaying of seven-year-old Dantrell Davis. On hand to celebrate the arrival of 200 new jobs, including dozens for former Cabrini residents, were Governor Pat Quinn, Mayor Rahm Emanuel, and Secretary of State Jesse White. The new Target is part of the years-long redevelopment of the Cabrini area; this phase has cost more than $100 million, including at least $9 million in city subsidies and tens of millions of additional dollars from the federal government. Just a few weeks earlier, Emanuel and other officials held a similar ribbon cutting on the far-south side for a new Walmart whose jobs were just as desperately needed, and also subsidized with millions of public dollars. The high-profile big-box openings send a message that after years of decline, good things are happening in some of Chicago's most depressed areas—thanks in no small part to the investment of tax funds. It's a message that's politically necessary for continuing the city's current economic development policies, because apart from a few exceptions, they're a dangerous, costly failure. The city's chief development and subsidy tool, the tax increment financing program, vacuums up $500 million a year in property tax funds, then pours most of them back into the Loop and surrounding areas that were already thriving or on the upswing. That's why critics, including certain Reader writers, have argued that the TIF program accelerates the growing gap between downtown and struggling outlying neighborhoods. Various mayors, mayoral supporters, and aldermen with well-funded TIF districts have responded that even if that's true—since it is—the upside is that all Chicagoans benefit: people who work downtown live in communities across the city. The relative handful of jobs added by big-box stores couldn't make up the difference. All told, more than 10,000 jobs disappeared from neighborhoods outside of downtown over that decade, and the income gap between whites and blacks grew. Hundreds of the job cuts came from one employer: the city of Chicago. And they've continued in the two years after the time period analyzed in the report. "Mayor Emanuel's approach of addressing budget issues by closing schools and health clinics, therefore, hits the city doubly: first through the loss of community centers of learning and of key services, and second through the elimination of a key source of middle-class employment for black Chicagoans," the report concludes. Given the state of the city's finances, you could argue that the mayor doesn't have any choice but to cut. But the facts show that the city's policies are contributing to the development of two different Chicagos distinguishable by race and employment—not to mention by levels of violence, which in turn costs everyone more in tax dollars. "The main reason people are reluctant to invest in Chicago is the crime blowing up in these poor communities," says Alderman Howard Brookins Jr., chairman of the City Council's black caucus. Brookins says that the city's TIF policies have been "misguided." He wants them revamped so money is only going to "legitimately blighted areas." "I'm saying, use it for what the damn TIF funds were designed to be used for in the first place." But the City Council has never voted down a TIF deal. In fact, only a handful of aldermen ever say no to any part of the mayor's agenda. Budget season is around the corner, and unless something funny is in the water—which, by the way, everyone is paying more for—Emanuel's proposals will be endorsed by the vast majority of aldermen, including those representing the communities missing out on job development. Brookins says that may change—he and his colleagues are vowing to push the mayor harder this time around. "The problem is that we've always been fighting about me—'I want it, I need it,' as opposed to 'We as a collective need it.' The tug on you from your constituency is 'What have you done for me?' and I think that potentially has done the community a disservice." The stakes are high for everyone in the city. "We've really got to do something about getting jobs in our communities if the middle class is going to survive." Mayor Emanuel officially launches his campaign for a second term. The largest corporation in the world is hailed in a neighborhood desperate for jobs.